Creative Director Michael Nolte presents this innovative new project, a special collaboration between MakeUp In and BEAUTYSTREAMS. Cosmetics heavily rely on having the right colors at the right time. BEAUTYSTREAMS analyzes consumer, pop culture, sociological, and beauty trends to predict a main color trend for 2019. In order to give MakeUp In attendees unique access to future color movements, the COLOR WAVE project showcases the trend through a related display of exhibitor product selections. Conference by Michael Nolte, Creative Director at Beautystreams and official launch of the new installation Color Wave in Paris. 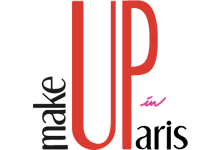 • Exhibitors from the MakeUp in Paris 2018 show related to the Middle East market. Conference by Kate Tratten, Director of the Communications Europe of CuriosityChina. Conference by Charlotte Libby, Global Color Cosmetics and Fragrance Analyst at Mintel. The beauty industry is moving at a faster pace than ever before, and staying ahead of the game is vital for success. The color cosmetics market is one of the quickest movers in terms of innovation, and the most demanding in terms of changing fashions and new consumer needs. Mintel presents a run-down of the emerging trends and micro trends you need to know about right now, using their consumer data and product database to identify those which will hold most impact for consumers. The presentation will cover the latest in product preferences, technological advancements, and ingredient demands that are set to change the industry, as well as how to harness the modern consumers’ needs to ensure your brand always stands out from the crowd. Awards attributed by the students of Morgane Hilgers’ school to 3 of the most innovative products taken from MakeUp in Paris’ Innovation Tree 2018. Key Notes by Dany Sanz, Creative director and founder of Make Up For Ever and Max Herlant, Make-up Artist. Vegan, Bio, Cosmos or Ecocert Frameworks, ISO Standards on natural and bio cosmetics, tax credits and in a general way, the concept of Naturality is growing at a fast pace across the world; Which Framework to choose? Is it mandatory to be certified? Which approach to choose? What are the consumer’s wishes, brands requirements? What are the challenges and opportunities for the Formula professionals? Conference by Tanguy Hugoo, Digital Director at Agence Malherbe Paris. Malherbe Paris is an independant, creative agency, international leader in retail design. Founded 24 years ago, their offices in Paris, Shanghai and Hong Kong gather over 200 employees, passionate with creation. They create innovative concepts for brands, from luxury to mass markets, with a majority of clients positioned as leader in their fields. Their fundamental ambition is to increase their clients’ commercial efficiency, which is the result of an impressive commercial efficiency for over 20 years. This first presentation will be followed by a conference by Steve Dodd, Senior Vice President – Information Technology at Li & Fung Limited. After these two interventions, Charles-Emmanuel Gounod, Beautyworld Connexions, will moderate a small round table with these two speakers. Going against the trend of the no make-up and naturality is emerging a new “glamourousaudacious”, engaged and ethical. Come and share this unavoidable trend with Lucille Gauthier-Braud and discover new products concepts, areas of innovation or expression for your brand! Conference by Lucille Gauthier-Braud, Beauty Trends Director at Peclers Paris. Consumer demand for natural, vegan, green and/or organic cosmetics continues to grow. Product safety and environmental awareness in addition to efficacy are becoming a must-have in Skincare. What is the status in Make-Up? Is it possible to combine GREEN & PERFORMANCES? How to responds to the customers need for personalized products and even unique products? What are the “Millenials” needs? What are the consumers habits? What is the impact on the methods of development, production and distribution? What are the potential evolutions? Context: With industrial methods of production, luxury cosmetics brands are going further in the personalization of their offers, by allowing consumers to choose their shades, cap or by engraving a message – to create a unique object to offer or for yourself. The example of Lancôme which recently created a new bespoke foundation, “Le Teint Particulier” adapted to each individual carnation. “In stores, consumers, once their skin has been analyzed by an advisor with a skin scanner, can witness the creation of a unique formula made specifically for their carnation.